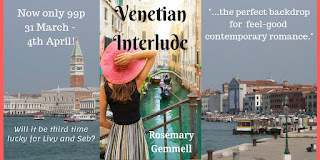 A quick heads-up - my sweet novella Venetian Interlude is on Amazon countdown until 4th April, if anyone fancies a trip to Venice! 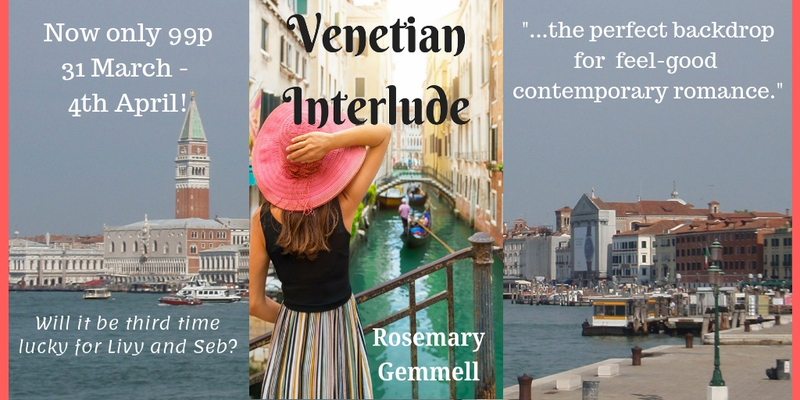 Will it be third time lucky for old friends, Scottish art historian Olivia and half-Italian Sebastian, when they unexpectedly arrive in Venice at the same time? Their lives have already diverged after university, then a few years later after a friend’s wedding. Why should this interlude be any different? Apart from Livy’s realisation that Seb is the only man she can never forget. What a great SAW weekend conference I attended from Friday until Sunday afternoon, an annual highlight of my year. Full of workshops, competitions, guest speakers, great accommodation, food and company, what's not to like! This year was the 50th anniversary which made it even more special. Isn't this a fabulous cake that was made for the special conference? This time, I was adjudicating the Pitlochry Award for a romance novel (first 15,000 words plus synopsis) and very enjoyable it was too. I absolutely loved the winning entry and really hope the author finishes and submits it to a publisher. On the Saturday, I delivered a PowerPoint presentation on 'From Idea to Novel' in my workshop slot, which seemed to go down well. Over the weekend, I attended an excellent workshop on poetry where Sandra Ireland had us creating our own poems (or ideas) from an object and a piece of text. 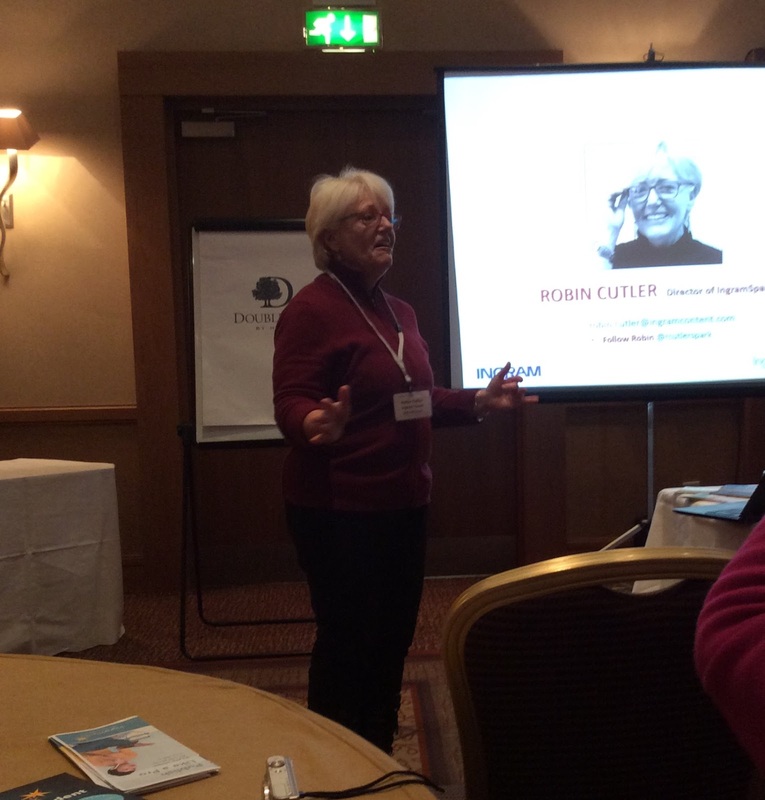 On the Sunday, I sat engrossed at the fascinating seminar from delightful Robin Cutler of Ingram Spark. She had come all the way from America to join us, and was taking the chance to visit some of Scotland for the first time. I had been looking forward to this, since the rights to most of my novels reverted to me and I'm deciding on whether to make them available only on Amazon, or to use Ingram Spark for their wide distribution. One of the most important changes they will be making soon is to offer authors an easier template in which to upload their books. Think I need to have a serious discussion with husband about the way forward, as you do have to buy your own ISBNs. The weekend wasn't all work and competition results, however. On the Friday evening after dinner we had 'Bookaversity Challenge' where four teams competed in a University Challenge-type quiz all about books - with great hilarity at the not very loud buzzer on each table and shouts of 'we answered first'! Afterwards, those who could go the pace, went up to the clubhouse to hear the various talent on offer. Whisper... I rashly decided to sing one song. 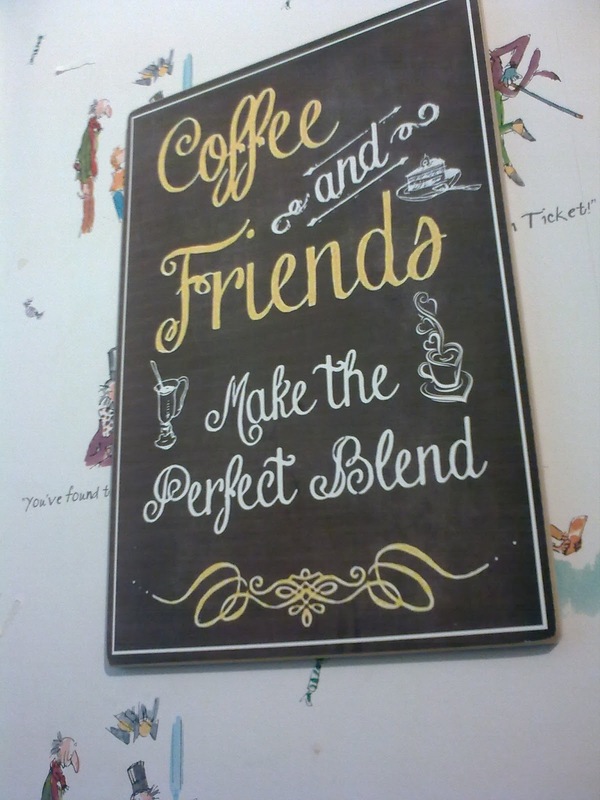 Fortunately it was a great, informal atmosphere and we had plenty of variety. More than half the delegates had also gone to bed by that time - or the bar. On the Saturday after the gala dinner, we had the presentation of all the competition awards. After that, we listened to an inspiring speaker (crime writer Alex Gray) whose serious writing career had begun at the SAW many years ago. The highlight of the evening was a fabulously funny drama: Carry on Sleuthing (an hour long), performed by four amazing writers who took the various parts, complete with accents and silly costumes. Most of them are crime writers so we were given time at the end to come up with the solution to 'who was to blame for the murder on the ship and how was it committed'. 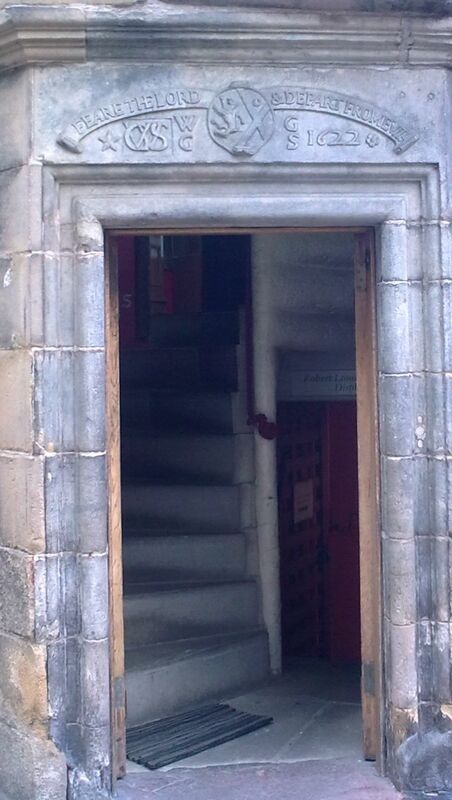 Some guessed part of it correctly but there was even a twist at the end! What a great way to end the evening. Where did February go since my last post? I seemed to look up and suddenly it was March. I imagine many of you will be very glad that spring is around the corner - in fact we had a few days of it last week before being at the mercy of rain and wind again. One of the reasons the time has passed so quickly is all the decluttering I've been doing. Since the previous post on the subject, I've taken it to a new level! 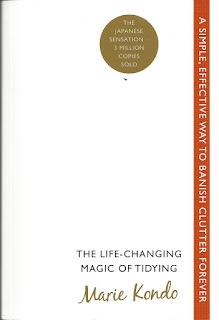 I was enjoying getting more organised so much that I bought Marie Kondo's book The Life-Changing Magic of Tidying. 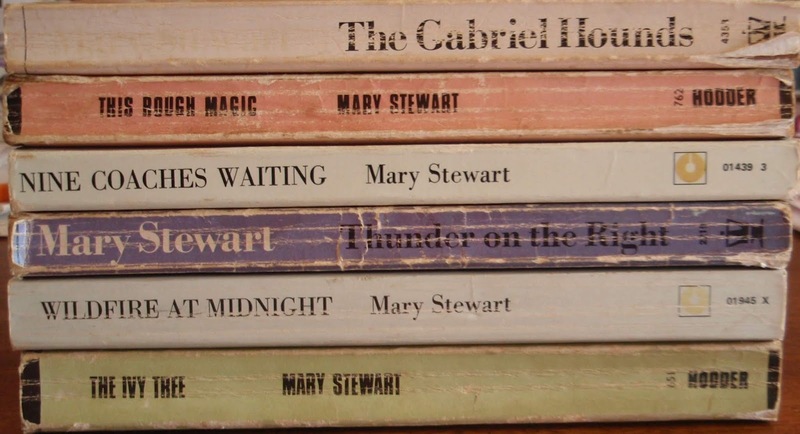 I think I was one of the last to hear about her, apart from the notoriously out of context reported 'only owning 30 books' comment - what she said was that we keep what is right for us that gives us joy. After seeing a couple of her videos on YouTube, I decided to buy and read the whole book. I can now confirm it works! I love her philosophy, that you sort everything by category rather than room, that you discard anything that doesn't give you joy, then find a place for everything you keep - to which it will return after every use. We had already cleared out about half of our possessions before moving areas almost two years ago, even though we haven't downsized (yet). And I've been gradually decluttering since the beginning of the year. Well, I'm amazed to find that wasn't enough and a little disgusted about how much we still possessed. Following the KonMari method of discarding and folding, I now have half the clothes I moved here with - out went anything I was keeping from too long ago, or that didn't suit, or certainly didn't give me joy to wear. I was a bit evangelical in telling husband all about it (I'm noted for my enthusiasm!) but he saw what a difference it made to my drawers and wardrobe space and he agreed to do it too. A necessary event, as it happened, since he was holding on to far too many items that would never see the light of day again, on him at least. 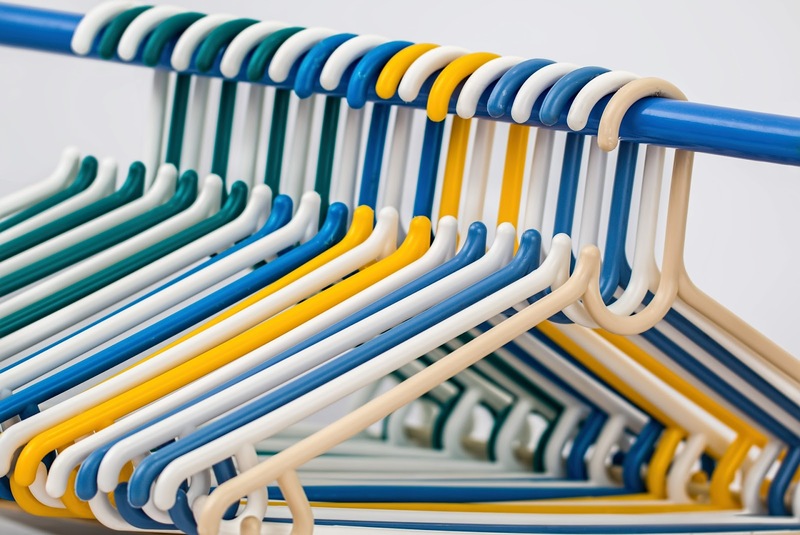 No wonder clothes is the first category as it gives the quickest and best results. Next was books. Oh, dear - I've managed to part with so many over the last few years that I really thought I'd have a problem. Not a bit of it. Out went all the books that were so old and musty that they were probably adding to my sinus problems, plus those I had never looked at for so long I'd forgotten they existed. But what to do with my OU books and material? Yes, even a lot of that went out, although I've kept what is most relevant for my writing research, plus the assignments. 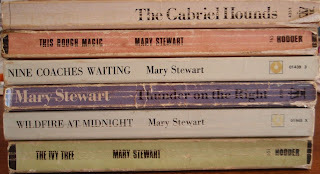 What a delight to see books I can now easily read or consult, though sadly not old falling apart paperbacks like those below. I did, however keep any decent hardbacks of my favourite old novels. I've just finished the third category: papers and magazines and such like. My study drawers are now a lot easier to navigate and my mind feels lighter. As an add-on, I decided to tackle all my computer files, as some were a disgrace with all the different versions of stories, novels, articles and poems. What a relief to cut them down to size. I've had to pause now to catch up on my other work but next stop will be the kitchen. After moving, then renewing the kitchen last year, we could do with reassessing what we have, need and enjoy. Plus some of it is in the wrong place. I can't believe what a great exercise this has been - it's meant to free our time once everything remaining has its own place. Now I can see at a glance what clothes I have and if there is anything I need to fill the gaps, rather buying something unsuitable because it's in a sale. So much of what we've discarded is good quality so we've given it all to local charity shops so someone else can benefit. Since husband pays tax, they get extra and we get occasional letters to tell us how much they've made from our stuff - quite a lot at times. Perhaps now, I can get on with sorting out my writing projects and organising my workshop for the SAW conference later this month. We had a great day visiting Culross in Fife again, which is mentioned in my current Work in Progress. 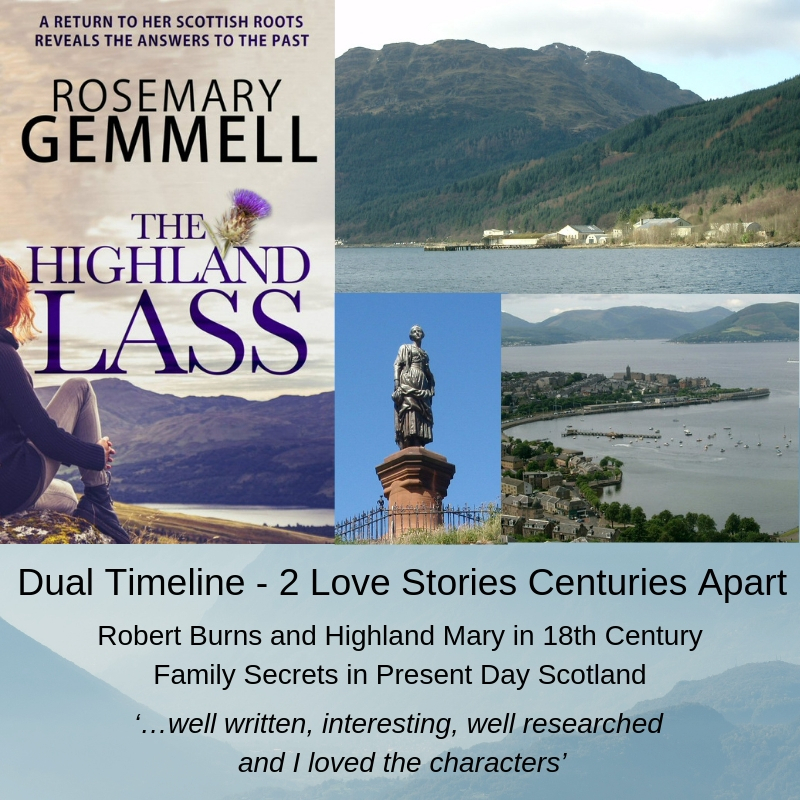 It's the most authentic 16th/17th century village in Scotland and much filmed in Outlander. Last time we explored the Palace, which is not really a palace - this time we walked right up to the top of the cobbled streets to see the old church and ruined monastery. It was worth the effort. The magnificent church is still used and I had great fun climbing the rail of the monastery ruins to have a look at what would have been the dining hall. We, however, dined at the wonderful Red Lion Inn - a fabulous building dating from the late 16th century. Excellent food and ambience - fortunately we booked a table before getting there as it was inundated with people being turned away. 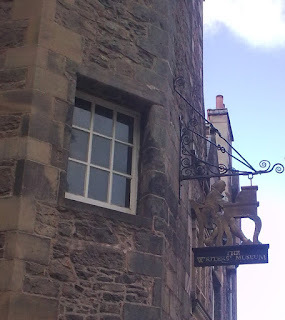 It's a real step into the past, wandering through the streets of Culross with its many painted dwelling houses beautifully restored, many of them with the date above the lintel. I mention the Town Building as well in my novel but won't say why! 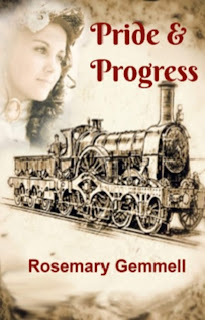 Better get on with it, now that it's well past half way as I have a lot to sort out with the story yet. It's good to get away from the desk though and I always feel more inspired afterwards. 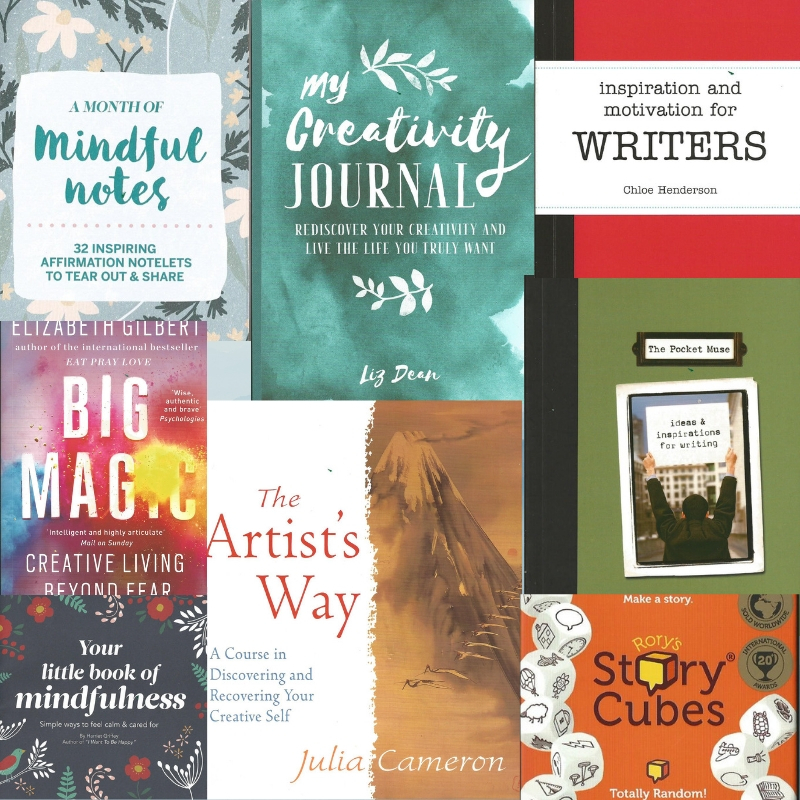 Welcome 2019 – A Year of Creativity? I love the beginning of a new year as it’s always filled with possibilities before reality kicks in and life gets in the way of best intentions! I’m off to a good start writing this before getting ready to have the first meal of the year with some of my family. Towards the end of 2018, I was so busy that it wasn’t surprising I wasn’t firing on all cylinders by Christmas Day, after cooking the dinner. At least I haven’t been over-indulging with food and chocolate, however, so that’s a positive. 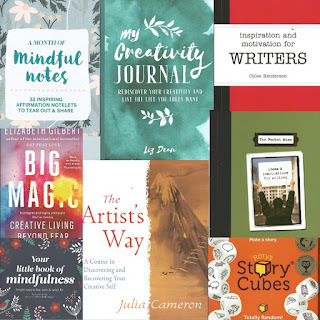 After bringing out two relatively short books, (one children’s middle grade, one novella) and helping daughter to publish her short story and flash fiction collection – all in the last two months of the year, I’m now reviewing my writing. I would like 2019 to be more about creativity rather than rushing to get things finished. It’s partly my own fault as I have so much unfinished work but I want to slow down a little and enjoy the creative process again. At least that’s the intention, although I suspect I work best to deadlines – will maybe have to make them more realistic this year! One of daughter’s lovely gifts, My Creative Journal, will help by giving me something to focus on. Together with some of the other creative or inspirational gifts she gave me before, and some I already had, I’m hoping to allow time to put some of the suggestions into practise. Some of them are about being more mindful, another way to help focus the mind on one thing at a time! Meanwhile, I still have three full-length novels awaiting completion, not to mention all the other ideas and shorter items in various places so a little bit of forward planning is called for before routine returns to normal on Monday. 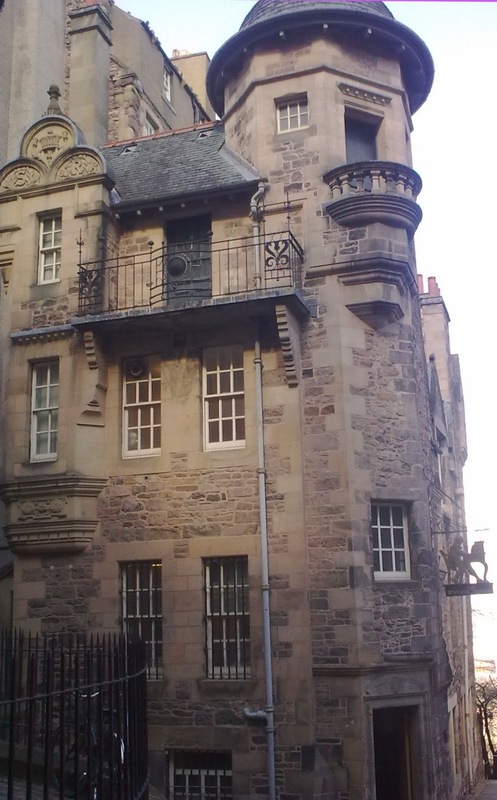 Plus, there are the novels awaiting my adjudication and written critique for the Pitlochry Award at the SAW annual conference in spring – thankfully only the first 15,000 words of each to be placed by the beginning of March. It’s an enjoyable task and I’m always interested in other people’s creative imagination, but I’ll space it in between my own work.